Super effect on us from supermoons? A supermoon’s extra pull of gravity creates higher-than-usual tides. But the moon’s pull doesn’t affect a human body nearly as powerfully as it does an ocean. The term supermoon denotes a new or full moon that occurs at roughly the same time the moon is nearest Earth in its monthly orbit. 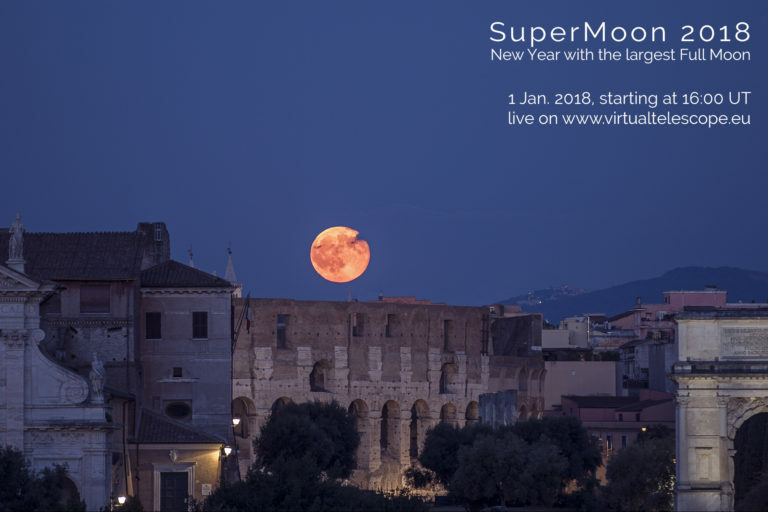 We’re coming up on the “most super” supermoon of 2018 on January 1 (January 2 for Asia, Australia, New Zealand), which will light up the nighttime from dusk to dawn. An astrologer, not an astronomer, coined the term supermoon, and it has come into wide usage only recently. It’s an example of modern folklore, largely accepted and spread by a now-global community, via word of mouth and the Internet. 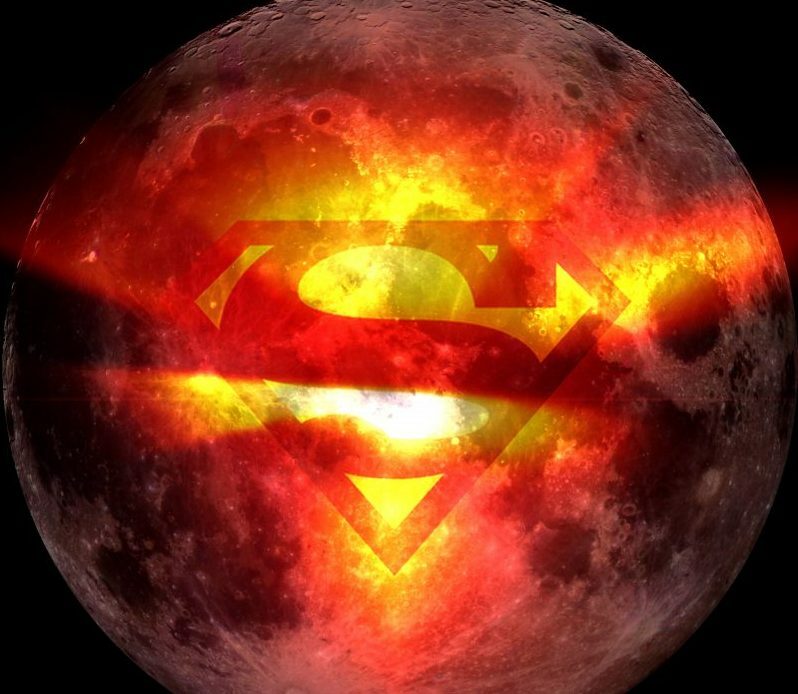 Some might suppose that a supermoon has an effect on people on Earth. But does it? I decided to calculate the values of different gravitational influences on individuals at the extreme of lunar perigee, the point at which the moon is closest to Earth and, presumably, has the greatest effect on our planet. In astronomy and other sciences, a related term – perigean tides – refers to the higher tides that can occur when a new or full moon and the month’s perigee coincide, as they fairly frequently do. Simply put, an extra-close new or full moon causes higher-than-usual perigean tides. What’s more, given the change in distance between the moon’s farthest and closest points, the full moon can appear as much as 14% larger in the sky and 30% brighter to our eyes than at minimum size and brightness. These changes do not come all of a sudden from month to month, however, and without anything with which to compare them, the changes in the moon’s size or brightness are hard to quantify by simple observation. To notice the difference, you would need to see the apogean (smallest) full moon and the perigean (largest) full moon side by side. For most of us, that’s only possible through photography or through some form of direct measurement, although careful observers have claimed to be able to discern a supermoon’s extra large size with the eye. During the time of a supermoon – or any new or full moon – our satellite is in line with the sun. At that time, the sun and moon’s gravitational effects combine. For reasons we won’t discuss here, the sun’s gravitational effect on Earth (as in influencing the tides) is only about half that of the moon. For this discussion, we will simply ignore the sun’s influence. When the moon is closest to the Earth, its gravitational pull is at its peak. So the question becomes, how much does the moon’s gravitational influence on Earth vary from minimum (apogee, or farthest point from the planet) to maximum (perigee)? I won’t bore you (or scare you!) with the math, but the variation from minimum lunar pull to maximum pull is roughly 23 percent. That sounds like a lot. However, it amounts to less than 2 ten-thousandths of the mass (or less precisely, the “weight”) of the moon. More importantly from an astrological perspective (I presume, since I decidedly am not an astrologer) would be the gravitational effect on a human being. Consider an 80-kilogram (176-pound) human being. The maximum difference between apogean and perigean moons is about 73 milligrams, or about 1/14th the mass of an ordinary paper clip. If you factor in the solar gravity effect for a supermoon, or full moon closest to Earth, this effect may rise to about 110 milligrams, roughly equivalent to about 1/9th the mass of a paperclip. In either case, the effects are imperceptible, and far smaller than those encountered in other everyday situations, such as being near a mountain or even a large building. But, you might counter, I said earlier than an extra-close full moon causes higher-than-usual perigean tides. The tides are a very different situation from human beings. Tides work through what is called a differential gravitational effect. Specifically, the force of gravity exerted on the part of the Earth opposite the moon (the far side of Earth, as seen from the moon) is slightly less than the force of gravity exerted on the part of the Earth directly beneath the moon (the Earth’s near side, as seen from the moon) at any given time. Why? Because there’s an additional distance – about 8,000 miles – from one side of Earth to the other. The force of gravity weakens rapidly with increasing distance, producing the differential. The result of this differential gravitational effect of the moon is that our planet is stretched slightly, along a line between the Earth and moon. The body of the Earth is fairly rigid, so it does not stretch much, but the oceans are much more easily moved. Thus the effect piles up water on either side of Earth, and these piles of water – created by the differential gravitational effect – are the tides. Note that, on average, the tidal effect is quite small. It raises tides only a few feet across an 8,000-mile-wide planet Earth. Technically, the same effect acts on your body as well, since one side is farther from the moon than the other. However, the difference in distance is on the order of one foot, rather than thousands of miles. Thus the differential is millions of times less, and the effect on a human body infinitesimally small and irrelevant. Supermoons are important because they focus attention on the moon, and nature in general. But the bottom line is that any physical effects of supermoons are not exactly super. There is no reasonable evidence that they cause super disasters. The effects that people may attribute to them are psychological rather than physical. There are several supermoons this year and every year. 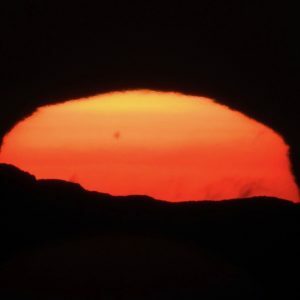 To learn about supermoons in general try this EarthSky post: What is a supermoon? 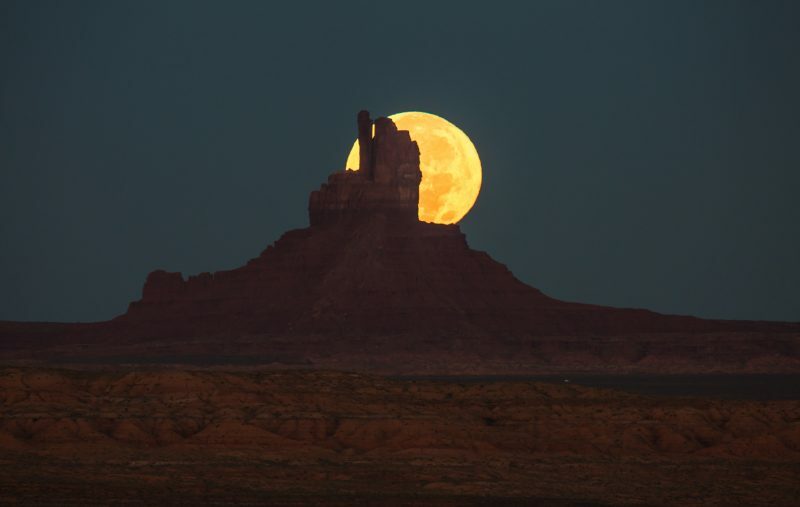 Will Saunders caught the moonset – at nearly the crest of the moon’s full phase – from Monument Valley, on the Utah-Arizona border. Bottom line: Sure, the moon (and sun) creates the tides. And an extra close moon can create higher-than-usual tides. But this doesn’t mean that an extra close new or full moon – a supermoon – has an effect on human beings. 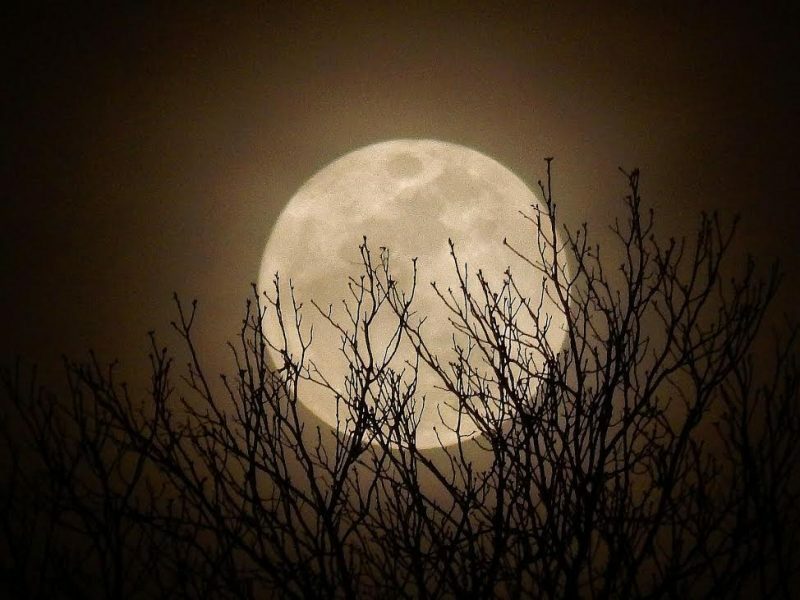 In fact, the effects of a supermoon are imperceptible, and far smaller than those encountered in other everyday situations, such as being near a mountain or even a large building.